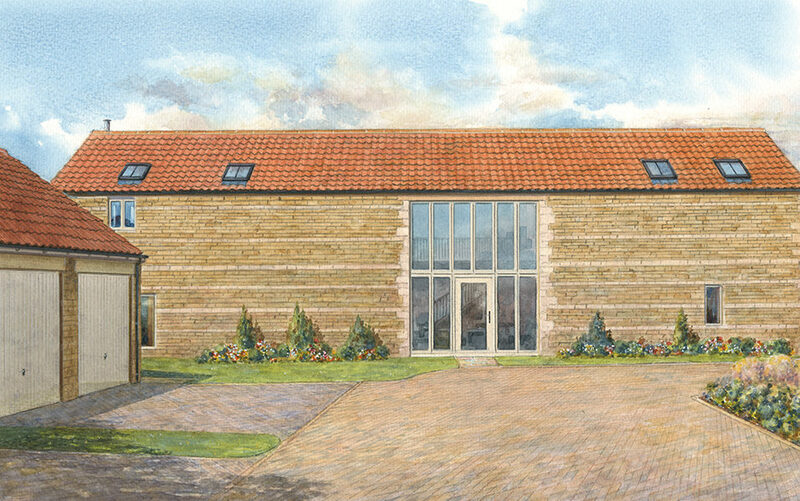 Barn End at Scott’s Farm, is a new barn-style 4 bedroom house built on the site of a derelict farmyard in the heart of the desirable village of Glinton, Cambridgeshire. Hereward Homes has sensitively created a new home which uses many of the materials commonly found on traditional Lincolnshire agricultural buildings such as clay pantiles, natural limestone, stone cills and oak lintels. Barn End provides the discerning homeowner a high specification with luxurious features throughout. Scott’s Farm is situated in a private cul-de-sac just a short walk from the village centre and open countryside. The property is accessed from a private lane and it enjoys private gardens to the front and rear, the latter is bordered by close board fencing. With patios to the rear and lawned gardens, Barn End offers the perfect opportunity to enjoy a relaxed rural way of life without compromise.